It doesn't really feel right to bring in stained and frayed tea towels and pot holders into my future beautiful new kitchen, so I think we may part ways and welcome in a load of shiny new kitchen goodies. Plus I've kind of already picked out everything else going into this remodel and need something new to shop for. STUFF! Just kidding, I'm probably going to make most of this stuff. 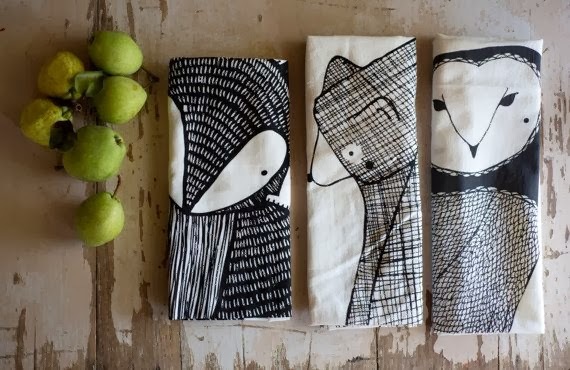 These tea towels from Gingiber are so my style. Animals, graphic but cute, black and white. Love 'em. Tea towels are easy to sew up though and might be a good opportunity for some design craftiness. A meeting of the Craft Club is in order. Everything that Sarah Sherman Samuel does/is/wears is amazing. All of the products from her shop A Sunny Afternoon are so good. 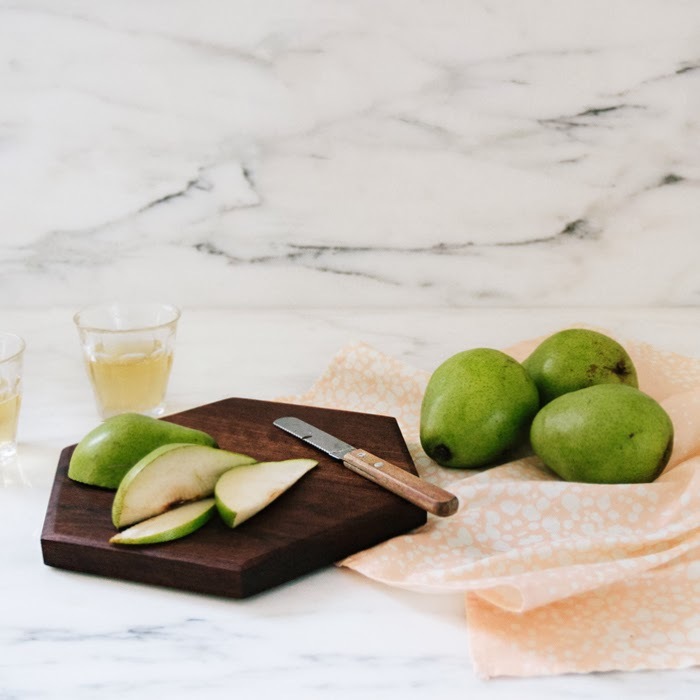 I want that spotted peach tea towel, and the hex cutting boards are rad. We're going to have a chunk of 1'x 6' butcher block left over from the kitchen, maybe I can ask our carpenters to chop it up into a bunch of hex cutting boards. 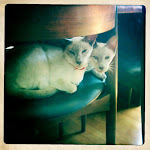 I'll bribe them with treats. 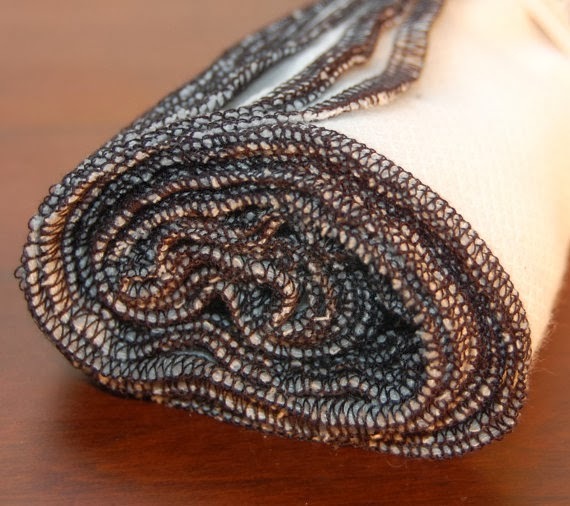 I learned my lesson with my last potholders- you want to go black with these. Our old ones are looking pretty rough, and certainly not worthy of being displayed off a hook like these awesome storm clouds. I feel guilty ripping off someone's idea, but these would be super easy for me to make, and $55 on two pot holders is a little insane. 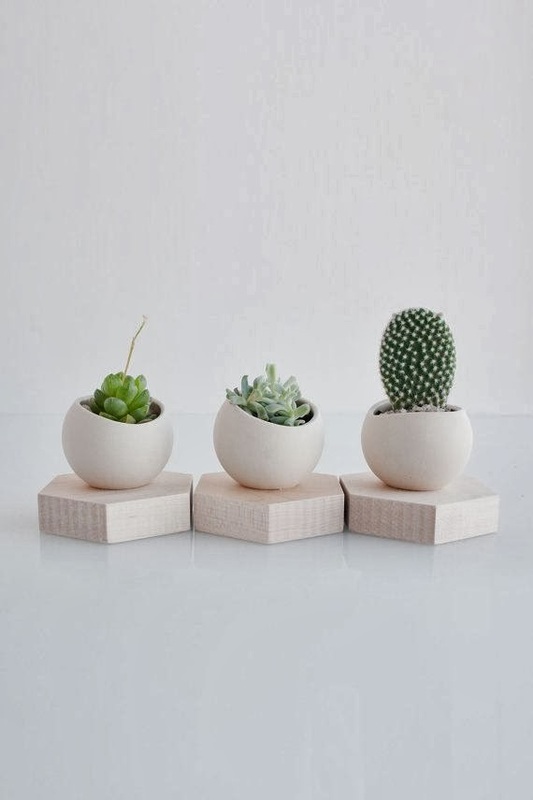 We're keeping one of the window ledges in the kitchen (above the sink) and will have some cleared off countertops for a little happy decoration, and these Hex Spora planters are my idea of perfection. The wood hexagon plates with a matte white ceramic pot holding a tiny cactus would make me grin like Elsa with a churro. Sigh. 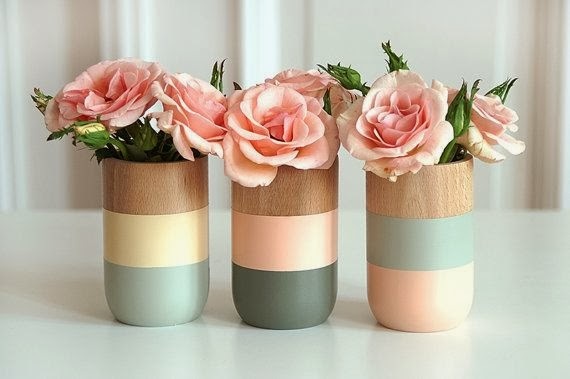 Speaking of perfection... these vases. GAH! I love the colors, love that there are three. Leif Shop is my favorite. 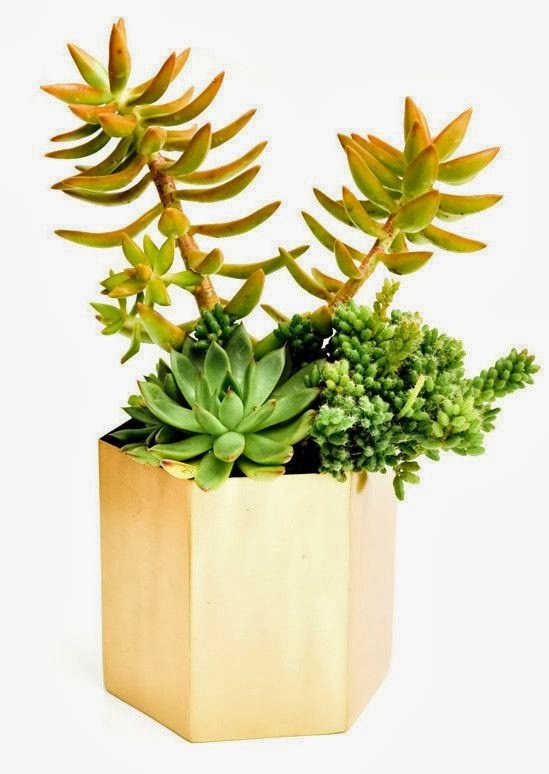 Lots of pretty things, like this gold hexagon planter. Our massive collection of bamboo kitchen utensils are going to get the dip treatment for sure. It's coming. 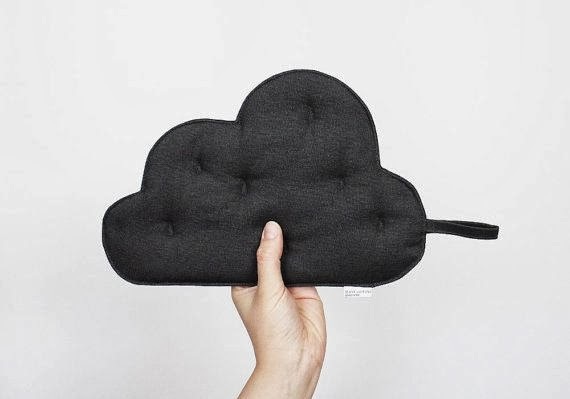 Picture via Poppytalk. That peachy pink is going to be my kitchen's accent color. Our new washing machine is going to make me want to laundry constantly (I actually already really enjoy doing it) so these eco-towels to replace paper towels will help keep that washer running. Elsa is crazy messy and I feel guilty going through so many paper towels, so if we can at least reduce our usage by swapping in these, I'm for it. 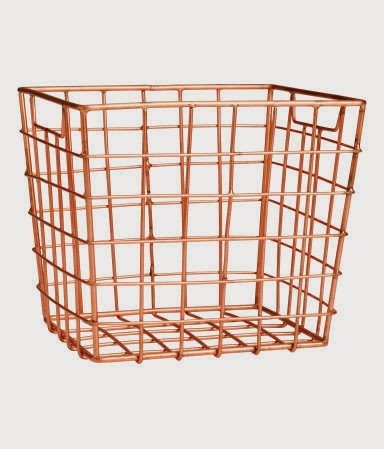 And duh, we need a few awesome copper baskets to put these eco-towels in for easy access around the kitchen. 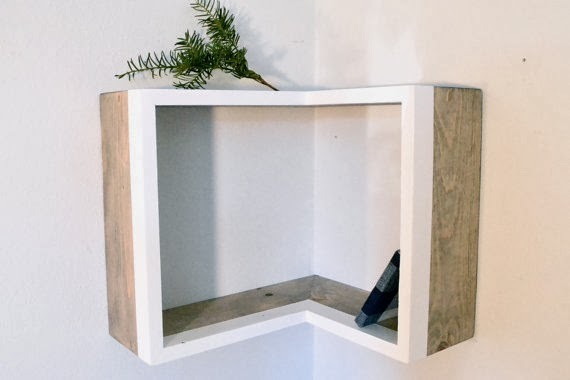 I think we're nixing the pot rack since we'll have enough cabinet drawer space for everything so I'm thinking this wraparound corner shelf would be awesome on the range wall to window wall corner. Perfect little perch for all my cute kitchen things above. And they can do that accent paint edge in a light peach! Want. Just need to make sure our corner is actually 90 degrees, otherwise it will be wonky and there will be no wonky in my new kitchen. Looking good Liv! Can't wait to see the finished kitchen!